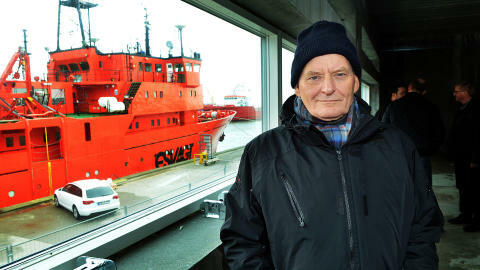 One of the three founders of ESVAGT, Ole Andersen, has been chosen as Citizen of the Year in Esbjerg –for the work he has done in the shipping company among other things. He himself finds that there are others who deserve the title more than he does. There is hardly anyone who can talk of My ESVAGT with more emphasis than Ole Andersen. Together with Kent Kirk and Henning Kruse he is one of the three founders of the shipping company. He was the first Managing Director of the company, and he is still active as a senior consultant seen every day in ESVAGT’s workshop. One of the reasons for his nomination for the title of being Citizen of the Year in Esbjerg was his work of creating ESVAGT, and thus he has followed in the wake of his two co-founders (Henning Kruse was nominated for the title in 1983 and Kent Kirk the year before him). When he looks back at the shipping company he took part in founding, and he looks at the development of the shipping company that today has 38 vessels, 750 people offshore, 60 onshore and a new domicile on its way, there is plenty to be proud of – as long as you do not mention this to him. - Proud? That is not a word that I use. I am pleased that the company still manage the values and principles on which we founded the company in 1981, and I feel grateful, Ole Andersen says. Ole Andersen was born in Hjerting on 6 June 1940, but did not meet his father till five years later when the Second World War had ended and senior Andersen could disembark from the American liberty vessel on which he had become skipper in the Pacific Ocean. - It was a shock for both of us to meet, Ole Andersen remembers. The shock was no worse, however, when Ole Andersen discovered that his father’s urge to go to sea had been passed down to him. So after secondary school, Ole Andersen took his first job as a Chef’s boy. After that he soon found himself studying at Svendborg Maritime College, then as a wreck fisher in the Great Belt and as a deep sea fisherman on board a German steam trawler in Iceland, Greenland and New Foundland. After conscription with the Navy in Greenland and a new job and the Skipper School at Esbjerg and on Fanø, Ole Andersen got his first share – 25% – in a 50-ton newly built wooden fishing vessel, which got the name ”Hans Sme’”. That whetted his appetite for more, and in 1968 he got his first 150-ton steel fishing vessel from the Danish town of Ringkøbing, which got the name of his grandfather “Hans”, whose father was a blacksmith. By the way, Kent Kirk got hired as a Chef on this vessel. Throughout the 1970’s Ole Andersen was fishing for industry and consumption, and ”Hans Sme’” grew in size. In 1980 he got “Hans Sme” No 5, a 1,000-ton former whaleboat that was now fishing blue whiting and mackerel. At that time, the offshore oil and gas industry was growing in the North Sea. - I had a four-week job as a guard vessel at the Dan Field in the 1970’s, and when we were passing the oil fields those years, we could see all the old trawlers that were on standby. We soon had an idea that we could make a better job out of it, says Ole Andersen. ’We’ were Henning Kruse, Kent Kirk and Ole Andersen. - Kent and I had been in Copenhagen to discuss cooperation with Danbor (a Danish company). Henning and Kent had talked about the possibilities when they met on a plane from Copenhagen. At that time Henning had just started Esbjerg Oilfield Services (EOS), and Kent was busy with politics and fisheries – so they thought that I had more time! 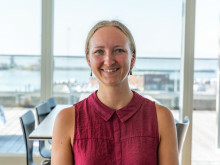 And in 1981 we started ESVAGT with Verner Mikkelsen, Anker Andsbjerg and Jenny Knudsen – and a little later Anette Sørensen as well, Ole Andersen recalls. The fleet was two trawlers that had received subsidies for being scrapped. They were bought and rebuilt. Contracts did not exist at that time; they came later. - We managed to combine our joint experience to a workable concept.I think the two others spent a couple of sleepless nights for this reason because we invested a lot of money in it. But I had no time for that. From the fishing industry I was used to having to invest a lot of money to obtain an expected income, says Ole Andersen. - Our strength was the fact that each of us knew our trade: Henning knew the shiny floors with Maersk, Kent was a politician and I had the practical experience. And then one thing joined us together: We had the same ambition of doing things better than what was being done. We went in to it to make a difference, says Ole Andesen, and only the best was good enough. The young shipping company entered a trade where safety was a focus area, and that suited ESVAGT extremely well. - When you have been fishing for 25 years, you have experienced most of what the weather and the sea can offer. 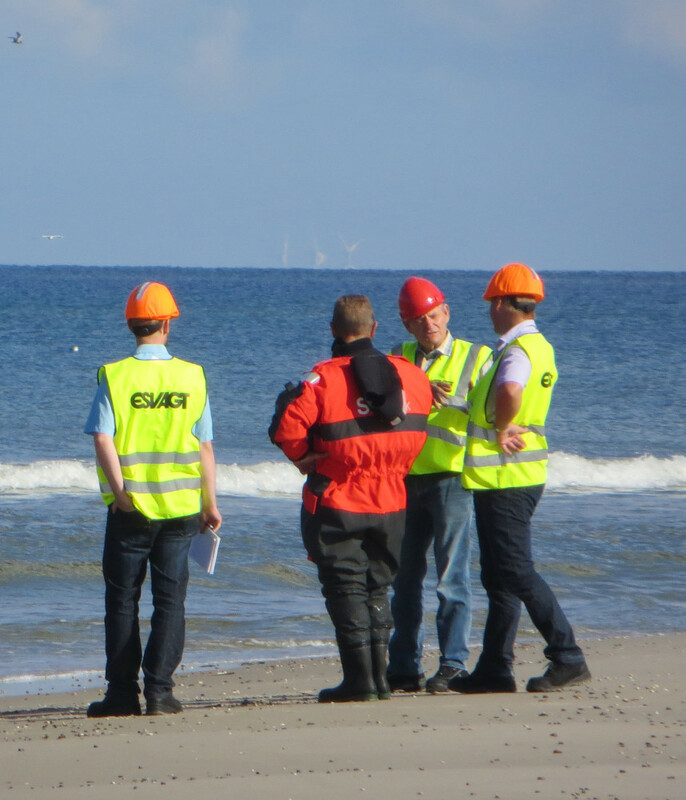 You cannot fish in the North Sea or in North Atlantic waters without being able to make risk assessments! It was the respect for the water and seamanship that was our great strength. The key issue was that we went out even if it was bad weather – we only saw to it that it was done safely, says Ole Andersen. - We discovered that the boats and the ability to navigate was what made us different from the others. We wanted to develop some special and appropriate boats, and we wanted to become good at sailing them, says Ole Andersen. Then one day in August 1990 it was to be put to the test. In a gale, the Norwegian owned accommodation rig West Gamma broke loose while being towed, and the rig had to be evacuated. The rig crew bundled themselves together in bunches of five or six people and jumped into the water – and the FRB’s from ”Esvagt Omega” and ”Esvagt Protector” picked up people. - A Norwegian standby vessel launched a boat and rescued a number of them. But when they tried to recover the boat, it capsized. The ”Esvagt Omega” crew rescued all 10 people, says Ole Andersen. At that time ESVAGT was well established in the market. A very big contract with supply, anchoring and towing had been landed in the Dan Field – it was that contract that enabled ”Esvagt Omega” and ”Esvagt Protector” to take part in the West Gamma operation. But West Gamma made a decisive difference. It attracted a lot of attention that ESVAGT had solved a difficult task so well, and two British delegations and two Norwegian ones showed up at Ole Andersen’s office. - We were a well-known shipping company at that time already, but it was West Gamma that emonstrated that when the fat’s in the fire you can count on us, he says. The growth of the shipping company increased even further as a consequence of the increased attention. The same thing happened to Ole Andersen’s pace of work, and in early December 1996 he had to retire suffering from stress. - I took three weeks off, but when I came back things had not changed. I had the best job in the world and the best staff in the world – but I was not the best manager in the world. I was not very good at delegating – I wanted to take part in all of it myself and that was more than I could cope with, so I resigned, says Ole Andersen. Ovin Carlsson took over, and Ole Andersen stayed far away from the Manager’s office. Instead, he returned to the starting point and began to show up regularly in the workshop with the FRB boats that are so important to the ESVAGT identity. Here he is now “Senior Consultant” – a title he has been imposed; he himself just thinks that he is an active pensioner – and turns up every day. - I like very much to talk to the seamen and hear what they say about the boats. What can be done to improve them, and what should be changed? I never get tired of that, says Ole Andersen. We must remember that we onshore at ESVAGT are there for those offshore. It will never be the other way round! ​As a 16-year old boy Lars Dahl stood out to sea – and that is where he has felt at home ever since. ​Henrik Gorzelak is pleased with being a sailor in a shipping company where there is still respect for expertise. My ESVAGT: The job is fantastic! Master, Arly Halkjær, turns 70 next year but has no plans on stopping at ESVAGT. 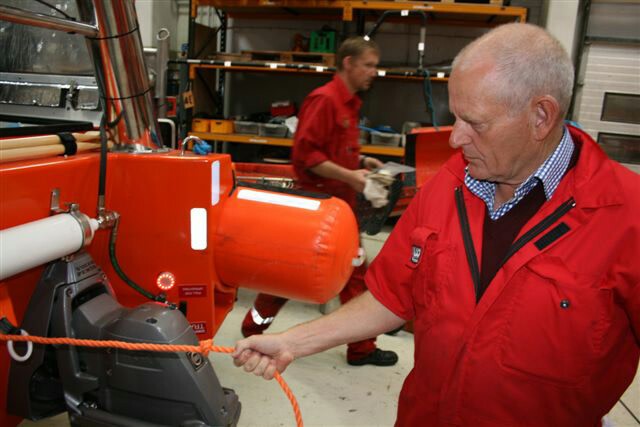 Jann Bach, master on board the ’Esvagt Beta’, has the ESVAGT safety culture under his skin.